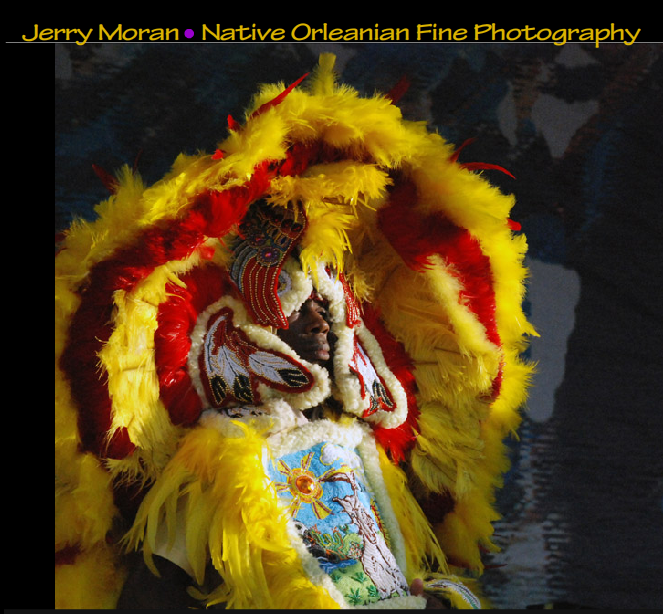 Jerry Moran is a photographer in New Orleans that i had met while in a gallery there. He takes a lot of images of musicians from in and around norleans. he contacted me after we had left new orleans because he was in need a of new website and i was happy to help as he had given us some great advice about what to see while we were in town. and viola – case study… and this is pretty typical of my work. 1) a way to design and build a website without any knowledge of programming or code or hosting. 2) a way to showcase his photography and keep up with gallery shows. 3) a way to retail items on his site and control the images including downloadable stock imagery. 4) a way to keep up with all of the content himself in an easy way. 5) a site that is excellent with search engines and works properly and easily. 6) a way to keep it and modify it long term without worrying about me. 1) jerry emailed me a photo of a pencil sketch of what he wanted as a website. gave me the colors (#e1b500) and fonts (teckton Pro BoldExt). We talked on the phone three times in a week discussing some advice and options and we just published a moment ago. 2) i copied the old website, moved to gs hosting at mediatemple, renamed his dns to point to new server. i added a new directory where i put up the new site and he could preview and learn to use the content management tools. 3) i added a content management suite for images, video, audio, design, content, pages, private urls (to share downloads and proof sheets with clients), and with all of the content from his old site. I added an e-commmerce solution that is highly configurable with images including exporting reports to quickbooks. 4) i customized portions of each content management solution (slideshowpro director, google apps and wordpress) to work with one another peacefully and included the some security measures and only the most effective and useful add-ons. 5) i added sitemaps, submitted to search engines, set up analytics, used friendly code and urls. 6) and since the site is already there and running on his own hosting.. any half-wit of a developer will be able to work with or modify the existing design or code. I keep it up and running for a $200/yr retainer and i only bill out $35/hr for any associated elective work. $1200 = 30/hrs @ $40/hr or 40/hrs @ $30/hr or 35/hrs @ $35/hr.. (which is actually $12 more).. but either way.. to field the calls handle the request, setup hosting, move domain, go through several edits, explain how to use it, setup email, install databases, install apps, customize.. voila. approx 35hrs. I can do the whole thing in a single sitting (day) if you don’t need any help with the design aspects or any additional features or flash design..but it usually takes me 2 weeks to get it all right and the client another month of questions until they’ll feel entirely comfortable using the site to it’s potential.